We compiled the best wine.com promo code list for you. We constantly update our site with the latest wine.com coupons and savings. This means you are receiving the best wine.com deals around. we also offer advice on the best wines to buy when you are shopping on wine.com or wherever you decide to buy your wine. 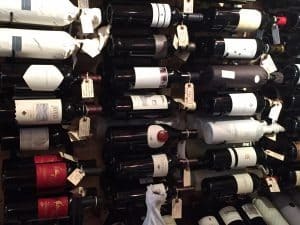 We offer some reasons to choose wine.com when buying your wine at the bottom of this post. Wine.com updates their promo codes several times a month, so make sure you check back with us for the most relevant wine.com coupons. Most promo codes and coupons are available today, but some aren't available yet. Make sure you bookmark this page and check back for new codes. Make sure you check out our list of suggested wines at the bottom of this post! So why are wine.com promo codes so valuable? We did some research on the best places to buy wine online. We discovered that wine.com is one of the top 5 options for purchasing wine on the internet. Here are a few of the reasons. They offer the best prices. With the wine.com promo codes and wine.com coupons, you can reduce your shipping cost. The shipping cost is usually the largest cost factor when purchasing wine on the internet vs. buying it at your local supermarket or wine retailer. Wine.com has a huge selection of wines from all over the world. They offer over 10,000 wines from 100 wine growing areas. That is 10 times as many options as you find in local stores! When you visit wine.com an expert is always available via their chat feature to help you select the right wine. You will not see this at many online wine stores. The online wine store at wine.com also offers you tools to search for the perfect wine. You can filter by wine region, by varietal, by price, and even by the gift type you are looking for. If you don't want to keep up with the wine.com promo codes, you can sign up for their Steward-Ship offering. This costs roughly $50 a year. Then you receive free shipping on wine.com. The shipping is faster than you may think. Order your wine in the morning and the shipment will generally leave a wine.com facility that day. For most locations in the US, you will receive the wine in one to two days. What should you buy with your Wine.com promo code? We can help you with some great wine ideas. We taste hundreds of wines so we can identify stand out vintages. Many of the wines we love are available on wine.com. Not ready to pay a premium for cult wines? You can use your wine.com promo code to select some value wines from Lodi. This region is often overlooked and produces high-quality Zinfandel and Cabernet Sauvignon. Wine.com is great because they are always creating new deals. Make sure you bookmark this page and check back in with us for new codes that will save you big when you are purchasing wine online!